Redefining Music Education is a multi-layered research project that seeks to explore the intersection between music education and the music business. The aim is to ensure that educators have better access to the business and the music industry has a closer relationship with the education sector. By supporting both educators and employers, it will also ultimately help those with a passion for music-making of any kind to access the knowledge and opportunities they need to succeed. This project was instigated by CMU Insights, Urban Development and BIMM at The Great Escape in 2018. We are now seeking additional partners who can support this project, either with knowledge and insights, or access to key audiences, or by providing funding for different sections of the work. We will aggregate existing research and reports on music education in the UK, to bring together all the information and discussion that has been previously gathered and produced, identifying common themes. We will identify the different kinds of music education providers in the UK, creating a categorisation system based on – among other things – participant age, level, qualification, content, focus, formality and funding. We will then put together a list of all the education providers in the UK, region by region, from school to college to university and beyond. Each provider will be categorised according to the system we have established. For each region we will also map the local music industry, including venues, retailers (record shops and instrument shops), music festivals, labels, publishers, merchandisers, agents, managers, ticketing firms and PR agencies, plus lawyers and accountants with music clients. Finally, we will identify the approach taken by the lead organisation of each local music hub in England – categorising and assessing these different approaches – and suggesting which education providers and industry organisations should be formally linked to the hub system. We will undertake this major mapping work in stages. Some stages will focus on specific regions. Other stages will focus on specific tasks. The outcome will be a curated repository of existing research and a comprehensive directory of local education providers and local music industries for each region of the UK. These resources will be made available to music educators and the music indsutry, and directly to new music talent and the people and organisations teaching, advising and supporting them. The mapping work will also identify gaps in music education provision around the UK and inform the development of the music hub system, facilitating better connections between educators and industry. From these interviews we will document the career routes of music professionals, both individually, but also looking for commonalities, both on a role-by-role basis, and across the board. Interviewees will also be asked about the skills and knowlege they needed at each stage. We will also look at how, when and where these people interacted with formal or informal music or music industry education, and other training or professional development opportunities. This will assess the link between the different education providers identified in the mapping exercise and the different pathways into a career in music. 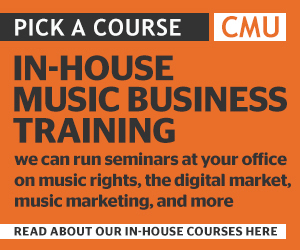 These interviews will explore the skills and knowledge required to pursue a successful career in music. It will consider how these skills and this knowledge can be best taught and developed, and will consider whether music and music industry education is currently fulfiling this role. The output of this stage of the research will be twofold. First we will consider whether music and music industry education is providing the right skills and knowledge to enable students to pursue a career in music, and how educators might better support young people in this way. Second, we will identify the many transferable skills that can be developed through music participation and practial grass roots music projects, in order to demonstrate how music education can help equip young people pursuing a career in a whole range of sectors.